We are offering a great Opportunity for the Preppy Lover. You can purchase one or more of these Limited Edition Nashoba Vineyard Vines ties. We have limited quantities of the two classic colors pictured on the below flyer. 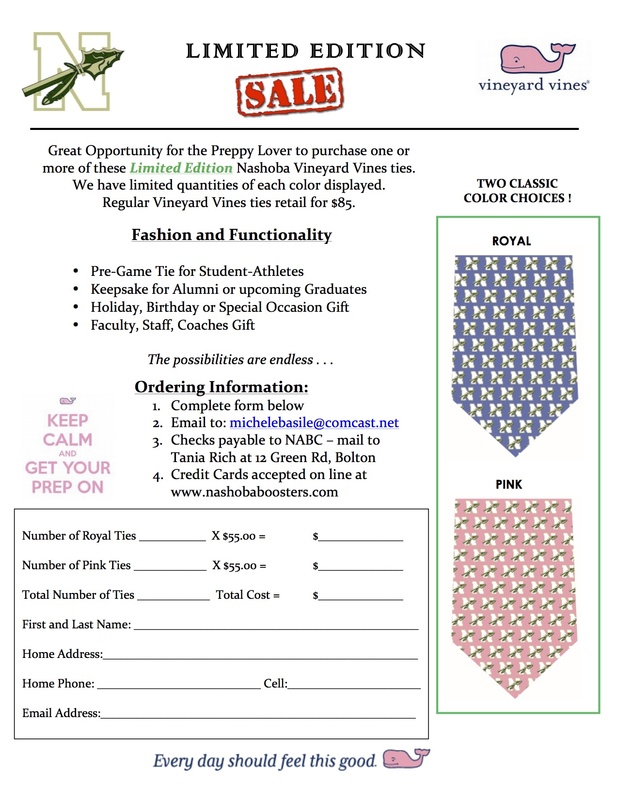 Regular Vineyard Vines ties retail for $85 but the custom Nashoba Vineyard Vine ties are available for only $55. See flyer for ordering instructions. Pave your way into Nashoba history!